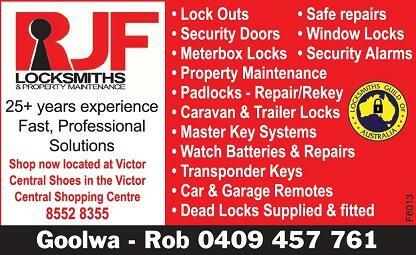 Locksmiths On The Fleurieu, also trading as Basic Locksmiths, are there for you. Locksmiths On The Fleurieu are centrally based and service the whole South Coast region. Are you building a new home or maybe renovating and need new door sets and locks? Do you own a holiday home or rental property and need a lock replaced or repaired? Are you concerned about security and who else may have a key to your home? Are your locks just tired and worn? Give Locksmiths On The Fleurieu a call! BASIC PRICES – why pay more!